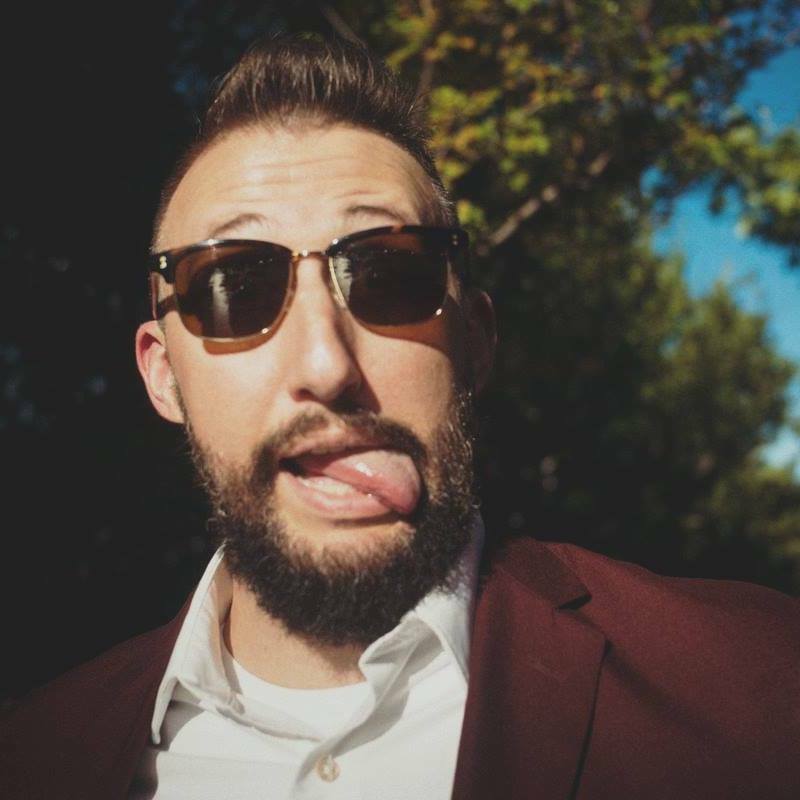 Matt Dunsmoor is traveling the world helping people connect with their true purpose using Simon Sinek's "Start With Why" framework. Learn how he does it. What if there were a process by which you could reliably discover what your purpose in life is? Could you imagine anything more fulfilling than discovering what unique contribution you have to make – what you were born to do? Matt Dunsmoor is a facilitator for Start With Why, a company devoted to helping others discover and live their true purpose. Matt happens to also be a digital nomad currently traveling the world with the Remote Year “Denali” group. In this conversation we catch up with Matt and learn about the importance of connecting with your Why, the impact that doing so can have and the mechanism by which the Start With Why process works. 0:02:27	What is Start With Why? 0:04:31	What does the process entail exactly? 0:09:06	How do you know when you’ve gotten your Why Statement right? 0:10:55	Do one’s Why evolve over time or is it set in stone? 0:21:50	What are some astounding results you’ve seen? 0:27:55	Is there anyone for whom this doesn’t work? 0:32:35	Is there a framework or process for determining how to actuate your Why? 0:37:26	What’s the simplest way for someone to engage and put this stuff to work? Sean Tierney – 00:00 – Nomad, nomad, nomad podcast. Sean Tierney – 00:21 – What if there were a systematic way to unearth what your true purpose in life is? Your why. If you believe that we each have a unique gift to contribute to the world and that there is a highest and best use of our natural talents and these life experiences that we spend a lifetime developing that are exclusively ours then what more important endeavor can you imagine then to work to discover what it is you were born to do. If you’ve ever wrestled with this question, then you’re in for a treat today because we’re talking with Matt Dunsmoor of Start With Why. Start With Why is the brainchild of Simon Sinek. It’s a process that gives you a formulaic way to uncover your true essence and to be able to start to make decisions that are more congruent with your why. I’ve noticed that many times people who are drawn to nomadic travel tend to also be in this seeking mindset, open to possibilities, often at a crossroads in their life, looking for the next thing. If you’re in this boat yourself, I think you’re going to get a lot of value from today’s conversation. So without further ado, here is my conversation with Matt Dunsmoor. Sean Tierney – 01:23 – Nomad podcast is supported in part by Nomad Prep, an online academy that teaches you everything you need to know to take your job on the road and crush it abroad. Enroll today at nomadprep.com/podcast, and get your first four days of training completely free. Nomad Prep. Take your job on the road and take on the world. Alright, welcome Matt to the nomad podcast. Matt Dunsmoor – 01:43 – Thanks for having me, Sean. Sean Tierney – 01:45 – Um, okay. Let me paint the picture here and kind of just set up the context for why we’re having this call. Um, so you are currently traveling with remote year Denali. You’re in your first month and you guys are in Lisbon now, which is where we met earlier this month when I was there. And you are, you are a facilitator for start with why Simon Sinek program. The reason I’m so excited about this and just kind of give the background. So I’ve gone through the program, the online course. I’ve also read the book, um, I’ve taken four people through it just as their partner and I bought it just as a gift for a couple of other people just because I really believe in what you guys are doing and the power of this thing. But I will let you explain what is start with why, how do you describe it to someone who has no idea what this is? Sean Tierney – 03:17 – and how. Okay. So this is, I think actually the crux of what separates this from a lot of the other stuff that I’ve seen is like you just said, it’s not aspirational. It’s not like I wish I was this. Why is like what you actually are. It’s like your essence basically. So it’s more of like a, almost like an excavation process of determining what is already there. Right? Matt Dunsmoor – 03:38 – Yeah. So like the workshops that we do, we’ve called them why discoveries very specifically because we look back over the data set of your life and your experience in the, in basically in the form of stories and use that to inform, okay, what is it that actually matters to you? What’s your very best? What’s the contribution you make to the lives of others to positively impact them and put words around that. Um, rather than, like you said, there’s, there’s just so much of a, especially companies that will do visioning exercises or, or whatever that might be a and they’re like trying to set a goal for the future, but I’m not ruining it necessarily in who they already are. Sean Tierney – 04:19 – Yeah, I mean it seems like they’re basically trying to layer on, they’re trying to like scaffold and build stuff on top instead of just like literally peel it back and get down to the essence of everyone. Matt Dunsmoor – 04:30 – Exactly. Exactly. Sean Tierney – 04:31 – And so what is the mechanism like? How can you give a gist of how this actually works? Like what, what is the process for start with? Matt Dunsmoor – 04:39 – Yeah. So, um, I, I kinda hinted at it just a of go when I mentioned stories, so both for organizations and for individuals, there’s a similar process, a however they both. The big overlap is that it’s rooted in stories. So as human beings we just naturally relate to each other best through storytelling. It’s how we’re wired and what we do is bring other people’s perspectives and insights into that journey so that they can see also what’s lying under it. Right? So in the individual process, you typically in an, in a best case scenario, have two or three other perspectives listening in to help bring out, oh, this is what you’re saying. This is what’s the meaning under here. Why is this thing important to you? And helping you find those words, uh, and in an organization is pretty similar. Um, but rather than I’m looking at the content of someone’s entire life, we look at as an organization what makes us most proud to be here and the specific stories around that, right? Matt Dunsmoor – 05:36 – Like a certain day or a time when you are most proud to be a member of that team. And I’m not about hitting goals or exceeding this forecast or anything like that. Like maybe you’ll have some of those and they’ll be awesome. But a lot of the stories that make us most proud to work where we work or about how we show up for each other. And so hearing those stories reflect a belief that your group holds about humanity in general, not just about the people who buy your stuff and that’s really what’s most inspiring about it. Sean Tierney – 06:07 – And so you split time then between doing this for an organization. And then do you also work with individuals who are trying to figure this out for themselves? Matt Dunsmoor – 06:16 – Yeah, I literally just got back. We did a two-day workshop in London this past week where now we’re working largely on a it’s well, the same process, but we’ve added an extension on now for helping people get clear on their house. And so day one’s really diving into your why. What’s the overarching driver, right? Like that North Star for you. That can be your decision making filter of this is me at my best will taking on this new project, hiring this new person, being in a relationship with this person, whatever it might be, the choice that you’re about to make. Will that put you in a better spot to be your best self. And then you have the words for that. So that’s what day one’s really focused on. And then day two is more around taking those themes that maybe didn’t make it into that why statement, but are just as important in your life, uh, and turning those into a list of actionable habits that you can live on a day to day basis that put you in a really good position to live that right. And so, like on a day to day basis, the way I show up will enable me to better hopefully will enable me to better live my wife and connect with people and inspire them. Matt Dunsmoor – 07:20 – So that’s what we spend most of day two, one. Sean Tierney – 07:23 – And that is your why and you say that again? Like what, what is your why statement? Matt Dunsmoor – 08:21 – at the end of the day, I really truly believe that if everyone has the mental toolbox, emotional toolbox to better function as human beings with each other, we get through so many more of our problems, right? Like obviously resources and finances is a huge piece of any huge influence. But I think the ability to step back and have an actual dialogue, uh, is huge. So that’s, that drives a lot of what I do, why I do what I do is trying to get people those tools so that we can better work together for a brighter future. So now I want you to share your wife’s because it’s so awesome. I love it. Matt Dunsmoor – 09:04 – and I love it. Matt Dunsmoor – 09:18 – right? Yeah. Great question. So it’s right when it inspires you most and it’s never done. So that’s the other key component is like you and I are super inspired by how ours are right now. Um, and the, as long as that essence stays in tact, you’ll always be iterating and finding new words that maybe even resonate and bring a deeper level of understanding and attachment to your why. And so, um, I think I started out coming out of my first white discovery, I had something along the lines of like to inspire people so that they feel confident moving through the world or something along those lines. Like the essence was pretty similar. Um, I wasn’t inspired by the language. I felt pretty generic coming out of it. And it wasn’t until I had like conversations, I kept the top of mind and it just happened to be walking by. I remember this and I was living in Las Vegas. They have startup, they’re called catalyst creative. And I walked by and saw a sign for the startup and I was like, that’s the word, like catalyst, that’s what’s been missing. Matt Dunsmoor – 10:19 – And that just gave me that moment of clarity. And so, uh, each person on our team I think has been through at least three or four iterations to try and find those words that really resonate with them. Um, and, and like our, our chief now chief revenue officer, but the longstanding CEO of Start With Why, uh, just recently updated the language of hers and she’s been in love with the language that she’s had for quite a while now and I’m just taking a little bit of a different angle on it and the different focus can sometimes make you connect more deeply at a different point in your life as long as that essence stays in tact. Sean Tierney – 10:56 – Does it change? Does do people’s why’s evolve or is it mostly set in stone and you’re just trying to uncover it and it’s there somewhere, but you’ve got to dig it up. Matt Dunsmoor – 11:06 – So I’ll tell you our stance on it, which is you, your why is your why is no matter where you are. Um, and it, it doesn’t change once it’s set, it doesn’t change. I’m meaning that once you’ve had enough life experience, which for some people could be really young, like 15, 16. If you’ve had a lot of those life events type of challenge, your perspective kind of moments, growth moments packed into that many years of life. Maybe you’ve already discovered it. Maybe someone who has been a little bit more in a bubble or something like that goes to college and it’s not till 21, 22, somewhere. Usually in that range though, is when at, at that point you’ve kind of formed your beliefs about the world. I’m not saying if like, it’s not in contrast with a growth mindset, it’s saying I’m your core. What makes you feel the best is probably pretty ingrained at that point. Um, and your depth of relationship with that though will change and shift. Matt Dunsmoor – 12:01 – And so the idea is, and that’s why the language is always shifting, is because you yourself are grappling with do I actually understand this about myself the whole time? And so, um, we always say like, as long as the SS stays the same, the words will hopefully continue to morph because that means that you’re still continuing to put time and energy into really thinking about it in grasping, grasping it. And um, in fact, Simon himself just tweaked his why I think within the past will definitely within the past six months. Um, and he just changed one word. Um, and so I think he said, um, he had the words though world, uh, in it and he just changed the two hour to make it more personal, to make it, like connect deeper with him and his impact piece of the statement. So, um, it’s, it’s really about a less about finding the exact words for an exact occasion, which I think a lot of people get confused about. Matt Dunsmoor – 13:01 – They think I have a work why I have a home, why you got one why that our stance is you’ve got one why, um, if you’ve got multiple why’s somewhere you’re lying. And so what you want to do is get that clarity because it’ll look different, right? In different situations. So the example that I give, obviously workshops, keynotes, that kind of thing helps me catalyze growth in people. That’s easy correlation in the work life. Uh, I am an uncle, I have two nephews and a niece all under eight years old. And I’m in my personal life. One of the things I love most and what I get the most fulfillment out of is watching, uh, being able to play the role of the growth guy for my nieces and nephews. So they all were all from the small town in Colorado, not a hugely diverse area in terms of perspectives. Um, and so I been able to kind of bring some of that back from living in the different places that I’ve lived in. Matt Dunsmoor – 13:57 – One morning I had a conversation with my nephew and I was wearing an old tee shirt that had, it was from a company picnic where had Luau flowers on it. And he asked me why I was wearing a girl’s shirt. And I said, well, why? What do you mean I’m not wearing a girl’s shirt? Why do you say that? And he said, well, it’s got pink on it. And I just said, well, why would a color have a gender? And his little mind just like started to slowly explode right in front of me. I was like, yes. Excellent. Like I just love being able to do that. So like, it looks totally different in the way it plays out, but that essence is still on the background. I still get, I get ton of fulfillment from bringing that role or playing that role across the board. Sean Tierney – 14:38 – Well, and I think that’s, to me what’s so cool about this is it really is almost like the grand unified field theory of you, like it may, it has all these weird ways that it manifests, but you can reduce it to this one thing that is just like when you get your why or at least the way that I knew I had mine right, is I got goosebumps when I first, when it came out of my mouth. I’m like, whoa. Yeah, that’s it. Matt Dunsmoor – 15:00 – What was it that got you the right words? What brought you to the iteration you have now? Sean Tierney – 15:05 – Um, so I was tinkering with this concept of escape velocity and like gravity and like I’ve always been very much drawn towards helping other entrepreneurs and helping people that are like stuck in jobs they don’t like and help them figure out a little what else could you do? Um, and so to me, like beating gravity is this idea of like gravity manifests in different ways like the mortgage that keeps you from going on remote year or the commitments that you really aren’t like you could figure it out if you just sat down and like unraveled them. They’re not a huge deal but you like build up this story in your head and it’s just gravity that like locks you up. And so I love the idea of like unlocking people, helping them be gravity and liberating them to go do what they meant to do. Matt Dunsmoor – 15:50 – That’s beautiful. I love that. And um, the other thing too that comes to mind is, you know, you mentioned like kind of the unified, a clear summary, I guess, right? The boil down thing. And so, um, the other thing that’s cool is, you know, I talked a little bit about like how and what as like things that we instinctively know, um, or we spend more time and energy on. Um, so we have this thing called the golden circle, which includes three levels. Why, how, and what. And a lot of people think that like, if it’s important to me, it has to be in my why. And so when we do these workshops and everything, people try and cram as much as possible into like, this is me in a sentence, right? And so they think that’s their why. And um, I think a lot of companies fall into that trap as well when they’re starting to like put their purpose or vision or mission or whatever it is out there. They’re like, well, we have to include these kinds of words because we like, love this idea. But really the cool thing about this is that, like, to your point, it’s this clarified. Matt Dunsmoor – 16:48 – It’s just one thing, like your whole golden circle is, there’s no level like what you do is just as important as why you do it in the same thing with your house. Uh, however, like the how the why is the filter, right? And so like having that clear, this is the contribution I make and the impact that it has a when I am at my absolute best and it gives me a ton of fulfillment like that. Having that in just like one small form is super handy when you’re going through life and I just love that. Sean Tierney – 17:14 – Yeah. I’m reading a book right now by Ray Dalio. It’s called Principles. Um, and it reminds me a lot. There’s another one, Charlie Munger wrote a book called Seeking Wisdom and it’s like this idea of like these heuristics that can be used in any situation once you have this set of heuristics. And to me the why is like all that boiled down to a single thing for you where it’s like this lens, where does it pass that filter? I should go do that, does it not? Like I shouldn’t be doing that. Matt Dunsmoor – 17:41 – Yeah. No, I love that. Sean Tierney – 17:43 – I think one of the interesting things with peanut butter and chocolate here remote year and start with why I did a little history, I actually tried early on to get start with why to partner up and actually bake it into the program of remote year. And I think that’s actually we realized we had some emails where we were both on the same thread months ago. Do you think this could be rendered in that scenario, like a 12 months city doing a little bit each month to help people unearth or why on remote year? Is that something you think could work? Matt Dunsmoor – 18:15 – Absolutely. Um, it’s, it’s interesting, right? Because right now we have a design is like a one or a two day process which is tough for any facilitator boiling down life experience into a small 30 to 40 minute window of storytelling is like you can’t, you can’t realistically expect people to be able to step into that and just like nail it on try one. Right. And it’s an intuitive process like we said. So setting the expectation early of like here’s how you get there and then like maybe revisits or check ins or something like that over the course of the 12 months I think is totally something that is in line with what we believe and what I think remote you’re largely is about. Because a lot of the conversations that I’ve had with remote year and um, and the people that are behind the scenes organizing, like track events and stuff like that, it’s a lot about like they recognize people here. Matt Dunsmoor – 19:09 – There are several reasons people come on remote year, right? And a large portion of people come on to kind of figure things out in one way or another. It could be career wise, could be personally, could just be to try something new, but they’re looking for something. And I think this gives them a great compass to go through those different interactions and different encounters to say like, you know, there’s a ton of Fomo because you’ve got events everywhere. You’ve got a ton of things you can go out and do on the weekends. And then this gives you an option to move forward and say, will this make me the best version of myself or not? Uh, and then you have less little fear of missing out on everything because you’re like, that’s, that’s gonna be fun. But like this other thing that I’m going to be doing instead is totally up my alley. And I’m going to get a ton more fulfillment and it’s gonna be longer lasting from this other piece that I’m going to be doing. Sean Tierney – 19:55 – Yeah. So it’s almost like the, it could craft your entire remote year experience for you if you figure out your why and you get that right. And then it kind of informs your decisions about what you do on remote year and then even optimizes the whole experience. Matt Dunsmoor – 20:10 – Totally. And that’s the thing I tell people about finding your why really defining your golden circle in general is not as much about this when we talk about purpose and we talk about, you know, your cause or your belief. A lot of times people get a little, like a little too touchy feely are a little fuzzy or we’re not going on some remotes, a mountain top and communing with each other for a week or anything like that. Like it really, um, it, it kind of scares some people off. But what I tell people is like going through this exercise and coming out with a wok, clearwire and house helps you be more intentional about how you live life. Right? And so it’s not about like, I can only do these things, there’s no police that are holding you to it, right? It’s just like a lot of these things are mindless to an extent that we do on a day to day basis. We kind of go through cruise controller to your point, gravity guides us in certain directions that we go and we don’t put a lot of intentional thought into why we do things beyond that seems fun. Matt Dunsmoor – 21:09 – This will move me ahead in either my career or whatever, or I’m good at this thing or I can get more money. Right? Those are the big buckets that kind of guide us on a daily basis and this puts a really simplified lens on like now you can make an informed decision of like, okay, I know I’m going to do this thing that’s fun and isn’t going to be getting me anywhere, but at least I know that I’m not going to be looking for that missing piece in this thing over here because I know it’s not going to be there. It doesn’t mean I can’t do it, but I can just be more intentional about the things that I do. Sean Tierney – 21:40 – Yeah. I love that idea of living more intentionally or deliberately. Um, yeah. Interesting. What, what are like the most, or do you guys, when you do a session with people, do you then ever do like a retrospective or get back in and see what the results were? Like, what are you, what are some astounding results that you’ve seen or if you’re able to share? Matt Dunsmoor – 22:01 – Yeah. Um, well one pops in my mind because it’s fairly recent, so we’ve only been doing open enrollment workshops, um, meaning like holding ones where individuals could come. Usually we work with businesses that bring us into to it for a small group. So we’ve only been doing these open enrollment workshops for about a year, year and a half, if you include the Betas. And so, um, one of our early on workshop attendees in New York, he was super engaged the whole time and when he was going through the workshop, he was kind of in a transition period. Wasn’t sure what he was doing. He was, I’m looking for something to push them forward in a specific direction, but he just didn’t know which direction to go and he hadn’t graduated high school. He had the kind of like take a different alternate route through a life and then ended up like coming back getting his ged and then he was doing an online college at the time. Matt Dunsmoor – 22:58 – He came to the workshop and so he wrote back to me on Linkedin because we would, we’d been touching base. We do some like kind of there’s Facebook groups or Linkedin groups that we create with the people afterwards and we stay in touch on that and um, soon we’re going to have a community which will be awesome. But he wrote me on Linkedin and one of the other guys that has also stated in really high touch along his journey and said, I just wanted you all to know how big of an impact you made on my life this year. I’m entering the C suite at my company and a graduated, got my degree and I’m like, finished with his wife’s statement at the end and says, can’t wait to keep doing this for many more people for many years to come. And it was just like, oh, like that was what I, that’s what you hope for when you’re, when you’re doing these things. So that’s probably the biggest example I’ve seen. Matt Dunsmoor – 23:52 – And for him it was all about just this, this intentional piece and, and making it about other people. And so you don’t have to be this philanthropic giving individual. I don’t consider myself to be someone who goes out of his way to be super charitable, but I’m recognizing that so much of life is how you impact the people around you. And I think he had that realization along the way and just didn’t have words for what it was that he was doing for other people in a meaningful way. And so once he had that, he was able to bring that back to his family, his work, uh, and clearly paid off with the relationships that now got him to where he’s at. Sean Tierney – 24:31 – Yeah. It’s super interesting. Just the power of words when you think about it and like clarity and you know, they say like writing forces clear thinking because now you’re having to like put it into words. And just that process really makes you think through stuff. Case in point like that. That’s awesome. Matt Dunsmoor – 24:49 – Yeah. Yeah. None of us, not a lot of us put enough. I always tell people, even if you’re not as interested in, I want my why. Even just going through this process to your point has a ton of value for you because if nothing else, you’ve learned a lot about yourself. What makes you tick? What actually are the things that are meaningful to you that you’ve never really thought about before. And so if nothing else, it’s just a really good learning experience for yourself. Sean Tierney – 25:14 – I wish that more people. I mean, I wish that your why would have to be on your business part because like how great immediately you can connect with someone and like know what they’re about and just like what a conversation starter, you know, I put mine on my blog along with some other stuff, but like to me it’s all about creating this amazing surface area that allow someone else who doesn’t know you when they first meet you there. Oh my God, that’s amazing. Tell me more about like being gravity, what that means. Matt Dunsmoor – 25:40 – Yeah, totally. Well, yours is amazing and it’s an amazing conversation starter because you’ve got beautiful language around it too. The other thing too that I talk about in this last group, there was a little hesitation because like we, we recommend like the first draft be in a certain format, which anyone who’s watching this will probably notice that you and I both had a to blank. So that blank kind of format. Um, because it’s really good about making sure you’re clear on your contribution and you’re clear on the impact that that has. Um, but sometimes people get a little worried because they’re like, you know, if someone came up to me and asked, you know, they’re not ready to put it on a business card yet, but they want to practice it a little bit. They’re not sure that if they got asked what do you do they be comfortable saying like, well, you know, I catalyzed growth in people so that they have the tools to build a better world. Like, um, so the, the thing I also throw out is once you’re clear on your why you are able to then contextually present it appropriately. Right? Matt Dunsmoor – 26:38 – So like for me, I probably like on an airplane and when someone asked me what do I do for a, I don’t always say, well, I catalyze growth in people so that we have the tools to build a better world. But I say is a, I get to give people aha moments for a living. And that to me captures the essence of what it is that I do and it infuses my way into it. And then if they want to have more of a conversation around that, then like, awesome, let’s talk about it. If they’re like, oh, so you’re like a the speaker that I’m like, I know where that conversation is going as well. So there’s like, you know, you have the freedom. Once you’ve got that clarity, you’ve got the freedom to really say what does this mean in this context? And that really opens up doors as well. Sean Tierney – 27:21 – That’s a perfect. I love that. Do people Aha moments because it’s like the perfect elevator pitch that intrigues and it’s like you said, it’s going to go a different direction based on what their experiences. So it’s like, yeah, we’ll just see where you take this and I’ll, I’ll run with that. Sean Tierney – 27:42 – yeah, those are the people. Matt Dunsmoor – 27:44 – Exactly. We weren’t going to have a great conversation probably for the next hour and a half anyway. So like it’s totally great that you put on your headphones and I can work on my slide deck so it’s totally fine. Sean Tierney – 27:55 – Is there anyone for whom this does not work, like what’s the hit rate when you do one of these sessions and some people get it and then where does this fall down or is there anyone who can’t do this? Matt Dunsmoor – 28:06 – Um, so I wouldn’t say there’s no one who can’t do it. I will tell you who struggled the most in this format, right? Because I think sometimes it’s a format thing. Um, are people who one are voluntold to be there. So if you didn’t opt in, if maybe your team wants to do it as like a way of learning more about each other and yourselves and someone’s just like constantly, like I could be doing work right now thinking about a million other things. You’re not going to be present for the other people who need you to be present for them to get to their why. So, uh, I think people who have been voluntold typically aren’t quite as open to the process, which is a barrier itself. The second thing I would say is, um, it’s tough for perfectionists and overthinkers. So I’m an overthinker, which is why I felt a little uninspired with my why coming out of my first one because I didn’t have the perfect words and I want that. I needed that to be plaque ready, put it on a wall. Sean Tierney – 29:42 – Yeah. But here’s the thought, is there any, uh, impetus within your team to try and get this into schools? Because like, I would love to see this baked in and have a high high school if not earlier level. Like what, what’s the, what, what are you guys thinking in that regard? Matt Dunsmoor – 30:57 – um, the counselors. So when you have someone who’s getting ready to go to college, this is an amazing tool to have and having them like giving them the tools. So even if it’s the online course that you took, right, giving them the access to that, um, is a huge thing. Having preparing them to have that conversation is a huge thing. Um, and in college that’s another group we want to work with. Um, but it, it kind of goes back to scalability because a lot of times colleges will want someone physically there and to bring someone physically from our team takes a lot of logistics and costs and stuff like that. And so it just doesn’t become feasible, especially on the scale of as many as one. So. So we’re working on digital toolkit at the moment to try and hopefully reach as many of those as possible. Sean Tierney – 31:43 – Yeah, it seems like just giving the online course or a steeply discounted rate at least for, for educational institutions would be an awesome start. Matt Dunsmoor – 31:51 – Yeah. We have also, uh, if you’ve, you’ve obviously read the books, but for anybody who’s watching this red, you know, leaders eat last and start with why Simon has a real deep respect and an affinity for the armed forces. And so getting this in the hands of veterans as well is something that’s really, um, you know, when you come back from war, having a why could be a super huge tool to help you re acclimate to what you’re walking back into and ultimately find where you fit in that, that environment. Right. So that’s another group we’re trying to work with as well as like armed forces as well as, you know, police as another group we’re trying to work with on that stuff too. Sean Tierney – 32:34 – What about, okay, so finding the why is the cornerstone, can you talk at all about the, how discoveries, like how do you, how do you actually wait? Is there any framework or you know, deterministic process for kind of helping people figure out how to actually implement their why? Matt Dunsmoor – 32:53 – Yeah. So excellent question. The um, so when you do a why discovery and you’ve gone through your stories and you’ve gone through, you know, anywhere between three and eight impactful stories that really mean a lot to you and you’ve got a partner, you got maybe an observe or maybe even a second observer, and they’re like helping to pull themes, writing down notes. I’m giving you that feedback. You’ve got a pretty dense list of themes that have popped up. Some of them are huge and those, like the big ones show up in your wife’s statement a, but the remaining ones like obviously are still important and those need a place to show up in your golden circle. And some of them will naturally show up in your what level, because they’re very specific. They’re very tactical, but a lot of them are around like the way you present yourself. So for instance, like optimism, uh, might have been on your themes less and that’s like super important to you. And so the idea is you can’t wake up and optimism, it’s not a thing that’s physically possible. Matt Dunsmoor – 33:53 – Um, and what you want to do this. There’s too many companies right now leave values in principle format, meaning people don’t know what it looks like because that’s so up to interpretation. So integrity could be a value that a company has, but what is integrity actually look like? Well, in different situations and different scenarios, people can interpret that differently and what you don’t want is everyone in your company interpreting one value differently because then there’s no consistency across the board. So the same is true. Uh, the fix for that also helps as an individual when you’re going through your personal house, which is we use those themes that we came out from our why that maybe weren’t there but are still important to us to then turn into action statements. And so using the example of optimism, what does it look like when you do that thing? Well, I look for the positive. So look for the positive would be the action statement there for the how. Matt Dunsmoor – 36:46 – like if you’ve got a big problem or if they’ve got a big problem they need help with, you might be able to be like, okay, well what about this thing over here that’s going right, right. So, um, it, it helps strengthen those relationships. Sean Tierney – 37:01 – Right. Cool. Cool. All right. Just a few more questions here. Let me see what I got for you. Matt Dunsmoor – 37:08 – Do you like the recording studio? It looks like I’m in. Sean Tierney – 37:10 – I do. Well normally I’m in where you are switched roles. Matt Dunsmoor – 37:16 – I feel like I’m about to drop the hottest album of 2017. Matt Dunsmoor – 37:36 – you don’t want 50 or 1:30. Uh, I can’t remember, but I’m probably lowest barrier. There’s a book out called Find Your Why and in Find Your Why and outlines our whole process. So, and that’s like, you know, on Amazon between eight and 15 bucks I think depending on or kindle, I don’t know. Um, so it’s, it’s low cost and it outlines how do we do an entire, like individual why discovery workshop and the same thing for if you want to do it for your team or company, it’s like the whole process is outlined there. Um, and you can then take that to like if you want to, if you decide you want to do it, you can give that book to the people who are going to be asking you the questions and walking you through stories. They can read it to get the context. Um, so I’d say that’s probably a good start as far as materials. Like if you wanted to just get the ball rolling it like your company or with someone else. Matt Dunsmoor – 38:29 – Uh, we do have like a free or downloadable slide deck that people have used as in presentations or like of it in Powerpoint or PDF format that they’re both available and it’s like a name your price so you can totally download it for free. Uh, you could download for however much you want. So that’s a startwithwhy.com/tools. Uh, and there’s a bunch of stuff under there. So, um, yeah, and a lot of its name, your own price kind of stuff. So. Sean Tierney – 38:54 – Cool. Alright, I’ll link to the, in the show notes or something. I just thought to tell me your take on this. This is a weird thought I had the other day. I was reading a piece in the New York Times, uh, that was called Last Einstein’s in this, this phenomenon in the context they were talking about it. It was basically saying that like this idea, it’s like there, there’s x number of people in the population that could have been the next Einstein had. They only been put in the right environment growing up. So this was in the context of socioeconomic status and underprivileged kids and it’s like super unfortunate that like all these people that have the potential to be the next Einstein or Steve Jobs or Elon Musk just the plant wasn’t in the sunlight. So it just never gets the chance to blue. Right. Um, but it got me thinking in the way that I see things and coincidentally like what I think is the magic of remote year and this idea of going nomadic and all these programs that help people kind of like change it up, is that I think that same phenomenon occurs in adults as well. Sean Tierney – 39:59 – I think that we get a kind of corralled down a path in life sometimes in instead of just stopping and taking a step back and switching that people can just stay in that for too long and I think something like, you know, start with why is one tool to me that helps you have that lens to see things differently. I’m remote year for me also had that same effect of like jarring me and forcibly putting me in different uncomfortable situations and it kind of unlocked me in the same way. I don’t know your thoughts on that. Matt Dunsmoor – 40:29 – Yeah, I totally agree. I think um, and it’s one, I just want to call out, totally make sense considering your why that you would hold that belief, which is fantastic. Um, but on the other side of that, I 100% agree. I think for me, um, the, the, having a clear vision of why and having it, having it simple and clear right to where it actually applies both at work and at home. I’m like, when we take what’s out of our why, it actually opens up the aperture a little bit. To your point where we’re not so laser focused on like, these are my only options because when we kind of get corralled down that path, we start thinking about terms in our life in terms of what we see in front of us and we’re like, it has to look this way because of x, y, and z um, but when we kind of peel away some of those what’s. Sean Tierney – 42:24 – well think about the implications for the education to go back to that. Like absolutely. If you think about like you’re, you’re always just looking at what’s in front of you. And like when I look at my own path and it’s just like, oh crap, I got to pick a major. I guess I’ll pick psychology and oh crap, I’ve now got to get a job. I guess I’ll go do this thing that I got the major for that and it just like, you literally get like just funneled based on like maybe some silly choice that you made early on and it’s just a string of things that lead to one another. But that’s why I love this notion of if you can open the aperture, like you’re saying, and step back and take the why and from that emerges all these ways that it can manifest. It’s like, I don’t know, to me it’s so clear they need to be using this tool in schools. This is like the best thing you could do at a career fair for kids would be the like get them to start thinking this way. Matt Dunsmoor – 43:15 – Yeah. It’s kind of funny because when people ask what kind of company we are, we actually classify ourselves as an education company, not as like a consulting company or anything like that because that’s what we’re hoping to do. So it’s a good note for us to actually focus even more on that because we’re all about spreading it. That’s why. That’s why we’re not super private about the method. Right. We wrote a book to say this is exactly what we do when we do a workshop so that people who couldn’t afford it could just go do it. And so, uh, it’s a good reminder though that like I was talking to a company recently that I super admire, um, and we were just having a conversation because I happened to know the guys and uh, he just casually dropped. Oh yeah, like this line of business, we hope that it’s, we want to have like their primary income stream. He said we hope to be making, like our goal is we’re figuring out how to make this free by 2050 and he’s always like, so we got to constantly be working on our revenue streams in different areas. Matt Dunsmoor – 44:12 – But like our major goal is that like no one ever has to pay for this thing because it’s so important and it was just like so profound to me and that’s why I hope that like a ton of us, like start heading that direction because I think that’s the way to really get it into education because education can’t afford it, right. Especially in the US. So, uh, I love that. Sean Tierney – 44:29 – Cool. Alright man. Well I will, uh, thank you for taking the time. Any parting thoughts? I will link to the book and the tools and the downloadable template a in the course. Um, but any, any last thoughts for anyone listening who’s thinking about doing this? Matt Dunsmoor – 44:45 – No, no major last thoughts or anything like that? Uh, just thank you so much for having me. I’m always loved talking about this stuff. Uh, if anyone watching has specific questions or anything like that, feel free to reach out to Sean. You can also on matt@startwithwhy.com. So that’s pretty easy to reach me. I don’t mind getting emails. I might take a while to respond, but I will certainly email you back because I always love talking about this stuff. Sean Tierney – 45:10 – Well, I’ve actually just recently made it so people can ask video questions on the podcast. So this isn’t published yet. We’re recording this. Obviously it will be poached at some point, but hopefully we’ll, we’ll make those available and people may even ask some video question. Matt Dunsmoor – 45:24 – I would love that. Yeah. I want to see you. So do that. Sean Tierney – 45:29 – All right Matt, thanks so much. Have an awesome time in Lisbon. Matt Dunsmoor – 45:32 – Thanks. Have a good one. Sean Tierney – 45:32 – Cheers. Matt Dunsmoor – 45:32 – Bye. Sean Tierney – 45:34 – Okay. That was my conversation with Matt. If you have a question for Matt, you can leave a written comment underneath this episode on nomadpodcast.com. You can also now record a video question using your Webcam. Same thing underneath this episode. Matt is currently on remote year. If you’re considering doing a travel program like remote year, he can get up to $300 off just by applying via our discounts page. You can find that link in the footer of our website, or you can just go to a nomadpodcast.com/discounts. Now notes. 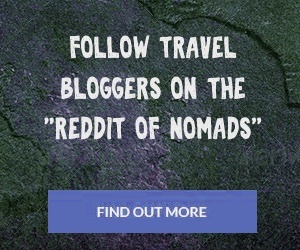 If you applied directly to the travel program, it does nullify your eligibility for this discount, so if you’re seeking the discount and be sure to apply through our link first nomads podcast is supported in part by nomad prep and online academy for aspiring digital nomads to help you put your preparation efforts on rails. You can get access to the first four days of this two week course completely free by going to the nomadprep.com/podcast. Nomad Prep. Take your job on the road and take on the world. Sean Tierney – 46:36 – I would love to know what topics you want to see covered on future episodes. So if you have an opinion on this, please send an email to admin@nomadpodcast.com and let me know what you’d like to hear about. Uh, so coming down the pipeline, we do have two interesting guests coming up. Joey Karam is a friend of mine. He’s a, one of the foremost authorities on self defense. He runs a school out of Newport Beach, California Teaching Krav Maga. Um, he’s also taught in certified most of the instructors in the Americas, so North, South and Central America and he’s one of the foremost experts on Krav Maga. So we’ll be talking with him about personal safety, situational awareness avoidance, deescalation and the basics of what you should know, what anyone should know about self defense. Sean Tierney – 47:25 – And we’re also going to be talking with my friend Luke Tierney. Uh, no. Uh, but he’s the founder of something called Nomad Playground. And so he has a essentially what is like a yelp review site of remote work job listing sites. So you can help you get a help. You find remote work more easily. Um, but yeah, so I would love to know what else you want to see, what other topics you’d like to see covered, but those are upcoming guests, um, and if you would like to be the first to know when the next episode comes out, go to nomadpodcast.com. And in the footer you can put in your email address and I will send you an email when I publish the next episode. So that’s it for now. Until next time. It’s a big world out there. Get out there and explore it. I will see you on the road. I have big ambitions for the impact I want to make and the mark that I want to leave on the world. I had the realization, however, that if I truly wanted to change the world, I needed to go out into it and learn from it. I couldn’t just live inside my bubble of Colorado & Nevada. I’m hoping to learn about what’s holding people back from truly connecting with each other across the world. I believe if we fix even a part of human connection, we set ourselves up for a bright future. I’m already learning a lot, but a this is only the start of month three, I have a long way to go! I primarily deliver speaking engagements, such as keynotes and workshops. I looked at this year as a means of testing out the viability of our work in an international capacity. I’m also working on a book. Doing great on the first point, but not so good on the second yet. 2- Finding a good haircut in a foreign country seems like it would be harder than it really is. It’s a lifestyle that is more “doable” than most people expect, however, to be able to succeed in your work and still immerse yourself in new cultures it’s important to set boundaries and create habits that make sure you get everything done that you need to do. Gotta still pay those bills! Pack all of your clothes in one colorway/color scheme. It maximizes the flexibility and utility of the items in your suitcase. This way, you can pack less stuff and you don’t have to worry about what does/doesn’t match. Morning in-room workouts. I brought a handled fitness band with me and every morning I do a routine with push-ups, sit-ups, and an arm/shoulder sequence with the band. It’s helped take the pressure off from needing to find a nice gym in every city. It takes a maximum of 15 mins and it gets me energized for the day. Watched all of the RY pre-calls and I researched each city through various travel blogs ahead of departure to inform my website design, since I made a landing page for each city. Pack less tech. You want to think you’ll start using that thousand dollar camera that you’ve been meaning to put to use, but you won’t. And even worse, it’s going to take up valuable packing space. I’d also remind myself that you can get a lot of toiletries when you land. So don’t overpack those!